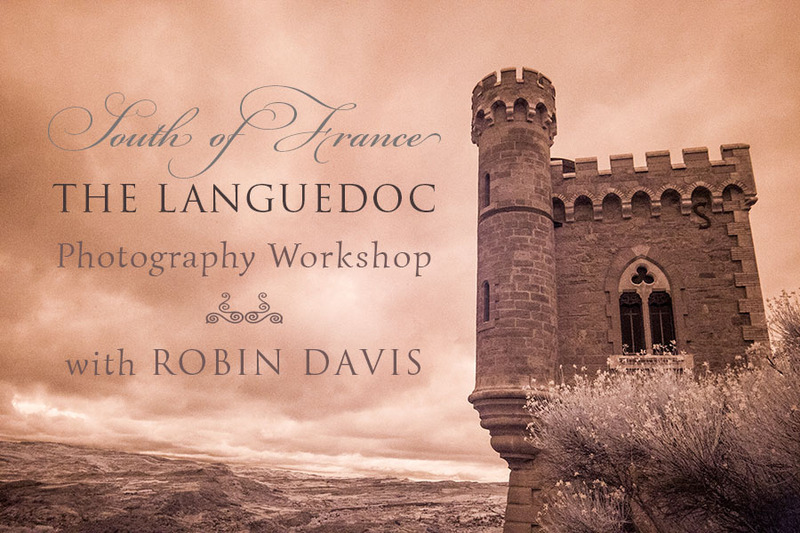 Each special place we will visit during this workshop has been chosen by Robin to meet three important criteria… a uniquely beautiful location, a story of mysterious history and legend, and most importantly, a permeable energy that inspires our photography. This small group workshop, designed by your instructor, Robin Davis, also includes the lovely Matilde Holloway as your instructor guide. 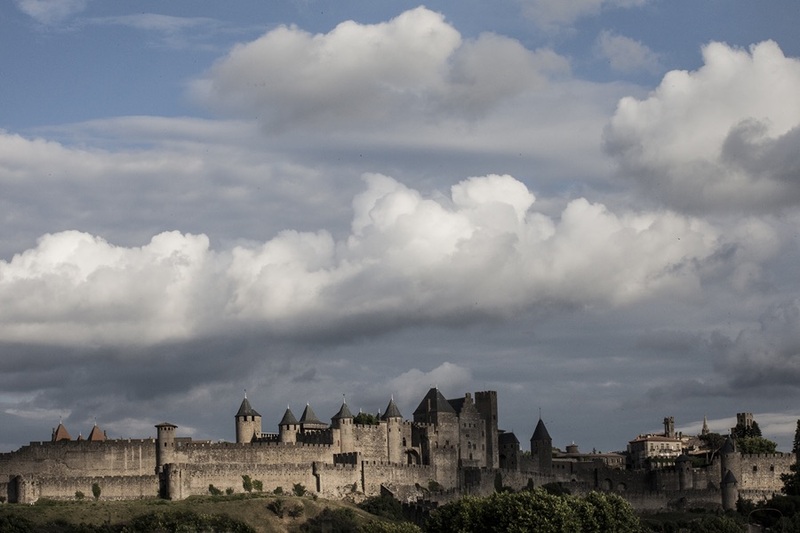 Based in Pézenas (Peh-zen-aahs), France, we will explore this seductive landscape, mountain formations, ancient bridges, vineyards, castles large and small, and villages of legend… like Rennes le Chateau, Saintes-Maries-de-la-Mer, and more! We walk here with a heightened awareness. An enigmatic cloak of secrets covers the idyllic landscape and whispers of lost legends fading back into prehistory. The beauty and enchantment of this region inspires us to become more creative with our photography and we will explore new and exciting ways to use our cameras and iPhones as well. Based on the principles of Robin’s small group workshops in Cortona, Italy, this seven night experience will inspire you and jump start your inner creative eye. The cost of the one week (seven night) workshop is $2470, and will cover personalized daily instruction, specifically structured for your individual photographic goals that we will discuss prior to the trip. To Register contact Robin today to reserve your space. We are being offered a great rate of 54 Euro per night in a unique B&B in the heart of the old town, central to our day trips. Food is not covered in your workshop price, but you will have the option to dine together with us at lunch and dinner, for reasonably priced traditional cuisine in relaxed restaurants favored by the locals. Daily breakfast is optional with your lodging, and coffee and wonderful pastries are available nearby. Everyone is responsible for their own airfare, and I am always researching deals for us. I recommend flying into Montpellier airport, and final travel details will be sent to all registered participants. Please contact Robin if you want to be on the airfare alert list. Our 2019 South of France Workshop arrival day is May 17th, and students depart on May 24th.